By virtue of their common Asian heritage, there is a strong cultural link between the people of Nepal and Japan. Asian values are deeply rooted in the society and people in both countries. Although Nepal and Japan are geographically distant, a spiritual bond has existed since the introduction of Buddhism to Japan in the 6th century. Long before official contact between the two countries, the people of Nepal and Japan established links and friendship a century ago. Last year, the centenary of the arrival of the first group of Nepalese students in Japan was observed with various commemorative events. It is a matter of pride for us that the Government of Nepal has chosen our country in its efforts to bring new knowledge and technology from overseas. Since the establishment of diplomatic relations between our two countries, Japan has been an active and major partner of Nepal in her development activities. Japan attaches great importance to international exchanges in various spheres including people to people, cultural and academic contacts. Nepal and Japan have mutually developed an excellent friendly relationship based on century old historical and spiritual ties. Over the years this cordial relationship has grown manifold covering diverse fields. The exchange of visits by the royal families, prime ministers and members of parliament in recent years signify the importance both our countries place on each other and have contributed to a deepened understanding. With the establishment of diplomatic relations on September 1, 1956, the relationship has expanded in diverse fields. Before the opening of the embassy chancelleries in Kathmandu and Tokyo, the Japanese Ambassador in New Delhi was concurrently appointed ambassador to Nepal. Similarly, the Nepalese Ambassador in New Delhi was concurrently ambassador to Japan. In this way, Their Excellencies Mr. Seijiro Yoshizawa and Mr. Daman Shumsher Rana became the first ambassadors of their respective countries. was appointed ambassador to Japan. This was followed by the opening of the Embassy of Japan in Kathmandu, in February 1968. H.E. Mr. Hidemichi Kira was appointed ambassador to Nepal. 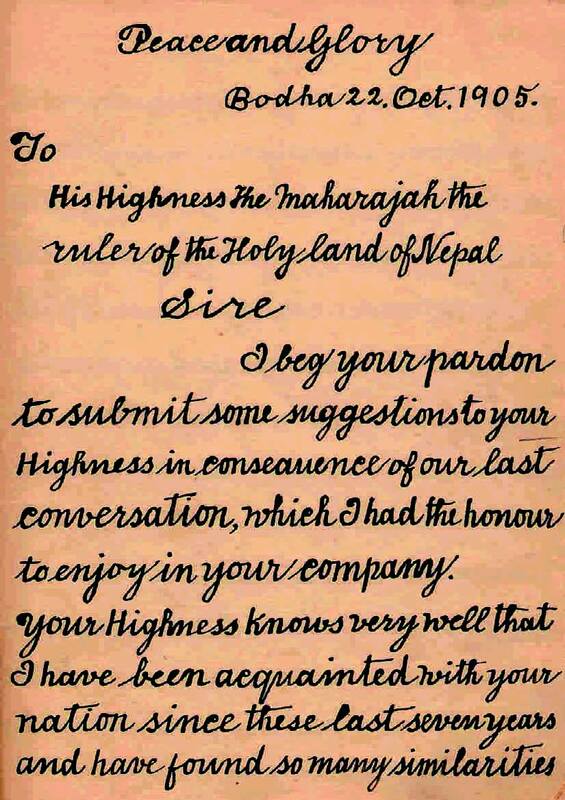 approaching the Nepalese government for help was that the Reverend felt Nepal trusted Japan as she had sent a group of students to Japan for study during that time. At the recommendation of the Prime Minister of Nepal,the Dalai Lama’s government released Kawaguchi’s friends from jail. During his stay in Nepal, Rev. Kawaguchi met the Prime Minister on several occasions when they discussed their respective nations. During these discussions they became acquainted and as a result of this mutual respect, Rev. 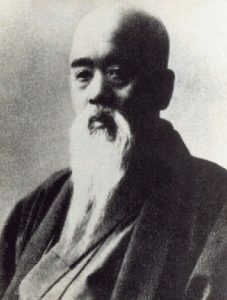 Kawaguchi wrote a seventy-five page long letter to the Prime Minister in 1905. In the correspondence he revealed his inner feelings concerning the conditions of the society and the country prevailing at that time. He made several important suggestions for the development of Nepal, in the area of education for all, improvement of administration, emphasizing vocational education, establishment of industries, banking system, exploration of mines, building of socio-economic infrastructure, etc. He even raised the possibility of Japanese cooperation for the implementation of these programs. To commemorate the first visit of a Japanese national to Nepal, a portrait of Rev. Kawaguchi was printed on a postal stamp in 2002. This gesture highlights the deep respect that exists between the people of Japan and Nepal. In 1902 the Government of Nepal dispatched a group of eight Nepalese youths to Japan for higher studies in different disciplines – Mining, Mechanical Engineering, Arms Technology, Agriculture and Sericulture. The youths who ranged in age between 18 to 27, with their entourage of seventeen attendants, left Nepal in April and reached Yokohama by ship on June 17,902 and became the first Nepalese nationals to land in Japan. They were also the first governmentsponsored students to go overseas for study in a period when, for the first time, Nepalese rulers looked abroad upon an external world that offered promises. They had chosen Japan for its pattern of growth which was thought appropriate, meaning Nepal could learn more from Asian experiences. The reason for choosing Japan might be some similarities between Nepal and Japan regarding their cultural and then political situation. Prime Minister Dev Shumsher Rana might have been impressed to hear about Japan’s Meiji modernization process in the late 19th century – education for all, industrialization and then the first parliament in Asia. Nepal will remain a lasting testimony to the spirit of the first group of Nepalese students who voyaged across the ocean and established a direct friendship at the people’s level with Japan.